To provide value to property owners through excellent customer service, attention to detail and our satisfaction guarantee. We strive to establish long-term relationships with our customers by operating with integrity, value and convenience with our customers in mind. 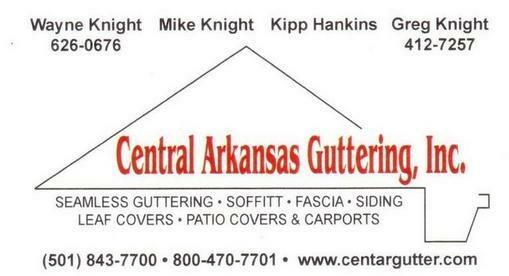 We started in the guttering business in Searcy in 1976 and moved to the Cabot area in 1981. Wayne along with sons Mike and Greg and daughter Angi have all been involved in the business. God has blessed us in this business and has given us the opportunity to meet many people. We are proud to be involved in the lives of the customers and friends we have made over the years. 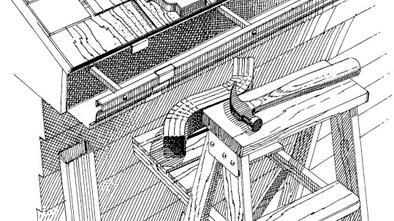 When we started in the business we had the option of 5 colors of gutters. We now have access to more than 100 colors of seamless gutters using aluminum with baked on colors to match nearly any home. We install gutter covers of many types such as Leaf Proof and Extreme Mesh in price ranges to fit the need of any customer. We look forward to continuing our service to the people of central Arkansas for years to come. 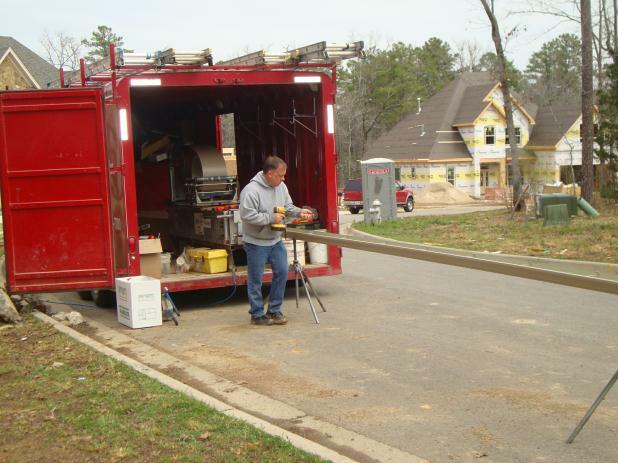 Our company president, Greg Knight, running out guttering on site.